Human Resources – News Wire India…. Bangalore shame – Should schools allow mobile phones, and a one-number helpline? Tamil Maanila Congress to be re-born? and is it Congress vs Congress now ?? Bhopal Union Carbide Criminal Warren Andersen Dead! Women at work – are egg freezing allowances a perk at all? In the last week, companies like Apple and Facebook have laid the seeds for what is now known in HR lingo as the perks war. Facebook has announced that it has recently began covering egg freezing, and Apple will start in January next, benefiting women employees who would like to postpone child bearing in the prime of their career. Perk or Illusion? 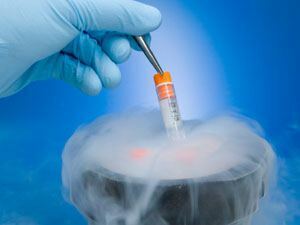 Do egg freezing allowances mean anything? “There are many other ways in which the corporate can communicate that the women employees are more than equal; Egg Freezing perks certainly do not in reality make the women equal” he emphatically added. He also mentioned that technology such as egg freezing are no guarantees for a successful or healthy pregnancy and delivery. Quoting medical information which is relevant to such perks and the outcome, he said – as per eminent doctors, in order to attempt pregnancy, egg freezing must be followed by in vitro fertilization (IVF) with another laboratory procedure; data available globally reveals a 77% failure rate of frozen eggs in women aged 30 and a 91% failure rate in women aged 40. Looks like, egg-freezing allowances are not a real perk, after all the hue and cry?! Egg Freezing – Perk or illusion? What does India think? The likes of Facebook and Google, may have created a huge buzz in the global media on how the women who chose to make their careers with them will now enjoy a very unique perk. Sure, names in the silicon valley would follow. The perks are a pay of up-to $20000 for freezing the egg of the women, who will then go on to make a blazing career, and postpone the joy of child bearing to a later date. Experts in India, however, opine that the euphoria over such a perk is misplaced, and may not really work in the Indian context. This is mainly due to the cultural and value ecosystem, due to which a married women may really not be able to postpone having children for a long time.